Thursday Night Philosophy Workshop: Alejandro Vigo on "Meaning and causality in Kant's conception of action"
"Meaning and causality in Kant's conception of action"
Kant's conception of action cannot be understood in purely causal terms. The internal structure of action can only be explained in terms of a two-level meaning structure involving both a priori and empirical components. Alejandro G. Vigo (Buenos Aires, 1958) is Professor in the Department of Philosophy at the University of Navarra. 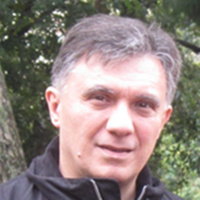 Prof. Vigo earned his undergraduate degree in Philosophy (1984) from the University of Buenos Aires and a PhD in Philosophy from the University of Heidelberg (1993). He has been a fellow of the Consejo Nacional de Investigaciones Científicas y Tecnológicas (CONICET, Argentina), of the Deutscher Akademischer Austauschdienst (DAAD) and of the Alexander von Humboldt Foundation. Between 1993 and 2006 he taught at the Universidad de los Andes and the Pontificia Universidad Católica de Chile. He has published over 120 articles in collective volumes and journals in Latin America, Europe and the United States, along with many books. In 2010 he won the Friedrich Wilhelm Bessel Prize (Alexander von Humboldt Foundation, Bonn) and in 2017 the International Philosophy Award "Antonio Jannone" (Pontifical University of the Holy Cross, Rome).